Artists Utilize Power of Internet to Get Paid – Community Activism moves the needle for Artists Rights. We’ve already posted how pleased we are that Amanda Palmer is a class act and did the right thing by recognizing her error in not wanting to pay her local pick-up musicians. The part of this story that really excites us however is that the creative community came together to effect positive change. No part of this story involved the RIAA or the MPAA. No part of this story involved an evil record label (unless you include Palmer as the Label). This story was very simply about artists expressing sadness and anger at the continued exploitation of their labor. The swift movement started with one letter, in a single blog post by Amy Vallincourt-Sals of Classical Revolution Portland. The most important take away here is that many artists added their voices to this discussion for fair compensation, even if they were not directly effected. It’s time for more artists and creators to learn from this experience and support each other as a community. As we posted last week, many artists are being affected by an attempt from internet corporations to weasel out of paying royalties to artists on sites like Pandora. 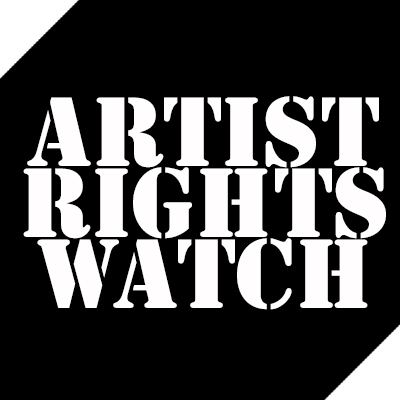 Now artists are faced with the intentionally mistitled “Internet Radio Fairness Act” which is designed to be a transfer of wealth from artists to internet companies in a wall street style bail out attempt to prop up their failing business models on the backs of artists. We hope that all artists and creators see this as a community issue and not one that just effects musicians. We’re excited to see the community of creators, artists, and musicians recognizing that we are all in this together, and when we work together we can create positive change as witnessed by Amanda Palmer rethinking her position this past week on paying her musicians. Amanda Palmer is a class act. On Wednesday she announced that she will pay ALL the musicians on her tour. This was after some withering criticism from fans, other musicians, journalists -and yes blogs like this- arguing that she was obligated to pay all the musicians on her stage. To her credit she sat down with her band and reasoned her way to the correct and equitable solution. Bravo. This returns her to form as the reigning queen of DIY and fan empowered rock. But there is more to this story. 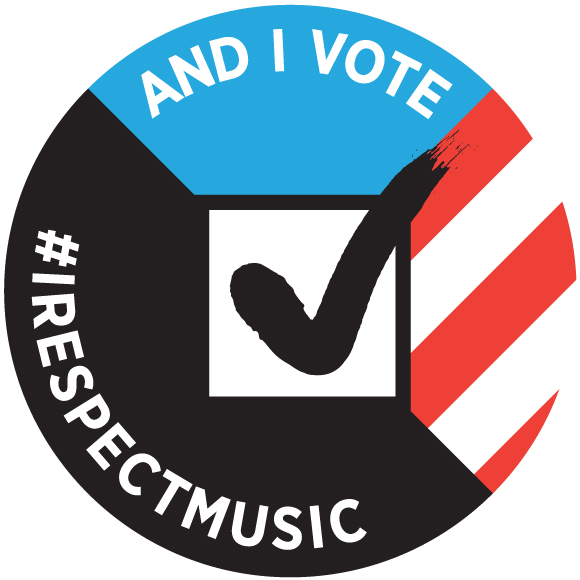 Too often we forget as musicians that we need to stick together, that we need to fight not just for our own rights but the rights of other musicians. We are all in this together. This is how things like unions are supposed to work. We celebrate the power of the internet to inform and empower musicians in cases such as these. This is how positive change happens. Well done everyone, this is what musician empowerment is about. Unless you’ve been living in a cave on a some remote South Pacific island, by now you’ve heard that Amanda Palmer created quite a controversy when she announced that she was asking for string and brass section “volunteers” to work for her on many of the dates on her tour. Ms. Palmer became an even bigger celebrity this last year when she did a Kickstarter for this album and tour and raised $1.2 million dollars. A full million dollars more than she needed for the project. For the last week, I’ve tried to avoid joining the anti-Amanda Palmer internet pile-on that has captivated many in the music business and tech world. Why? For one simple reason. I believe in the artist’s right to monetize their songs and performances in any way they see fit. If Ms. Palmer had told her Kickstarter fans that she intended to record her entire new album in one take with one microphone into an iPad, post it on the internet and pocket the 1.2 million dollars that is her right. (Well, hers and the IRS’s.) Yes even a punk cabaret singer deeply involved in the Occupy Wall Street movement has the right to get rich from her art and music. It’s nobody else’s business. Yes, that may clash with her public profile, and her fans can also choose to not support her if they think this is somehow hypocritical. But she has no obligation to give away all her earned riches–or gifts for that matter. Further, she has no obligation to be transparent about her finances, as she is a private individual. Although I understand why publicly asking for money on Kickstarter may change that for many artists. I stay out of this part of the debate, cause it seems to be mostly about the million dollars and whether Amanda Palmer has the right to make a comfortable living in privacy. Of course she does. However, I do agree with the criticisms of others on nearly every other count. The naive ones will say “sign me up!” I most certainly had that as my first response. But in looking at the whole picture, this time you’re coming across as the 1% looking to exploit us. I’m guessing this is not the impression you were going for. If this is the case, please respect the musicians who are giving you their time and specialized skills. We would love to play for you! Please do the right thing, Amanda. This all seems so contrary to your vision. YOU HAVE TO LET ARTISTS MAKE THEIR OWN DECISIONS ABOUT HOW THEY SHARE THEIR TALENT AND TIME. especially in this day and age, it’s becoming more and more essential that artists allow each other space to figure out their own systems. the minute YOU make black and white rules about how other artists should value their own art and time, you disempower them. The thing is–Amy never said she was trying to make rules. She’s not the employer. We’re not talking about sitting in, or a jam. Ms. Palmer is an employer and she does make the rules on her stage. Other musicians–like Amy and me–don’t have to like her rules. We are free, however, to point out that this employer does not pay fair wages. This is a collective bargaining/workers rights issue. Nothing more. Please don’t try to make musicians feel that questioning the ethics of a rock star employer is somehow violating the rock star’s human rights. That’s disingenuous. Justin Colletti also made some good points…..
Is it noble to support musicians only with “exposure”? Exposure for what? So that they might be selected to play the next cash-rich tour for free as well? Or are we talking about the kind of “exposure” that musicians will be subject to when they can’t pay their rent? Let’s not make false equivalencies in this debate. It’s important to remember that we’re not talking about a friend of Ms. Palmer’s jumping up on stage to play a guitar solo or sing backup on a song. Rather, we’re talking about working or aspiring musicians who are expected to send in an audition tape, learn the material in advance, arrive punctually for a high-pressure rehearsal, and then arrive punctually again for a high-profile performance in which they will be an essential part of the emotional and aesthetic impact of many of the songs. This kind of work deserves compensation — even if its just a token sum from an artist who cannot afford to pay a more traditional rate…. Palmer is paying her promotional team and her management team handsomely, but not the musicians? In doing this, she is becoming the very thing that she has told us she is railing against. If a concert stands to make no money at all, or if it does stand to make money but the proceeds are meant to go to a humanitarian cause, then playing for free can be a very noble thing to do. But it’s important to remember that Amanda Palmer is not a charity. She is now running a significant for-profit entertainment business. And she’s doing a very savvy job of it. Other entertainment entrepreneurs would be well-advised to learn a lot from her. But not this. I sympathize with Ms. Palmer. I understand how she found herself in this situation. It looks like over the last three years her shows have averaged about 600 paid attendance each night. An artist is lucky to receive a $6,000 dollar performance fee on that kind of attendance. If you consider the fact that a 8 person string and brass section costs money–my guess is close to $2,300-$3,500 a night in fees (based on local AFM scale) you can understand why she was reluctant to spend that kind of money. She would still have to pay all her other expenses out of what is left. I personally would not spend that kind of money (instead I would use backing tracks rather than ask people to play for free), but that’s her choice. It appears that Ms Palmer has very conservative financial instincts she probably learned by years of down and dirty touring. I get that. Her mistake is she didn’t realize that her financial situation has changed, and many of the old rationales are not there anymore. Once there is profit it should be shared equitably. She simply failed to adjust to her new success. If Ms. Palmer is able to adjust her thinking and accept that she is now an employer in the 1% of musicians and pay all her musicians, we should all move on. Until then I am adding my voice to those asking her to fairly compensate all her musicians. We are humbled and overwhelmed as without a doubt the biggest story of the week for Artists was the debate inspired by David Lowery’s “Letter To Emily” in response to a post by an intern at NPR’s “All Songs Considered.” What followed was an out pouring of support by musicians, artists, creators of all kinds and music fans. We are grateful to everyone who took the time to read David’s thoughtful words, discuss, retweet and repost on Facebook. In a few short days the voice of artists sharing the response resulted in attention from major media news outlets such as Time Magazine, USA Today, The LA Times, The NY Times, MSNBC, Forbes and countless others. The point is not so much whether these outlets agreed or disagreed with David in part or in whole, but rather that the voice of artists uniting on the issue of fair compensation became unavoidable as a mainstream topic of conversation. Probably our favorite report of the week came from Digital Music News who stated, “Our Digital Innocence Just Died. And David Lowery Killed It…“. We also want to thank all of the artists who also spoke their minds in the comments, Tweets and other posts. We want to continue to support you and invite you to suggest posts if you’d like to write on the Trichordist as many of you have. Of course there were some who disagreed, but that’s why it’s called debate, right? At least this time both sides were heard. Although we had no idea that so many of you guys would pass it forward to your friends and fans—hundreds and hundreds of thousands of you—we were really impressed by your efforts and the overwhelmingly positive support you gave to David. Hypebot and WhoSampled present information and an inforgraphic on 30 years of Sampling which appears to directly contradict claims made by anti-artists rights groups about the benefits of innovation in copyright when all stakeholders are compensated fairly.